In the 21st century we often hear the word “stigma” used in the popular culture, the news, and in our everyday lives. But do we really know what the word means? Merriam-Webster defines the word “stigma” as: a) a scar left by a hot iron; b) a mark of shame or discredit; and c) an identifying mark or characteristic (specifically: a specific diagnostic sign of a disease).1 The root of the word comes from the Latin word stigmat and the Greek word steizin, which both refer to a brand that was used to mark a slave or a person as inferior. Looking back at the barbaric origin of this word can show us how powerful stigmatizing a person can be. In today’s world, a stigma no longer represents a physical brand/scar on the body, but rather a mark you can’t actually see. We often assign a stigma to a socioeconomic, ethnic, or religious group, but the word can be used to describe any perception of homogeneity within a group of people. In healthcare, we pride ourselves on recognizing stigmas, stereotypes, or judgments, and on holding them in abeyance. Sadly, we are not always successful in controlling our biases and, in turn, stigmatize individuals into specific groups, regardless of their ICD-10 diagnoses. One of the most powerful stigmas in healthcare is the weight stigma. Weight has become an important issue in the United States (US). A 2015 report from the Centers for Disease Control (CDC) states that 70.7% of adults are either overweight or obese.2 The effect these numbers have on healthcare is an estimated annual medical cost of $147 billion from obesity alone.3 This trend particularly affects physical therapists; more than 80% believe that weight management is part of their scope of practice.4 In a study by Setchell et al,4 96% of physical therapists demonstrated some element of implicit weight stigma when looking at a case study with an overweight patient or one with an obese Body Mass Index (BMI). Overweight or obese patients in post-physical therapy interviews have recounted negative or stigmatizing experiences more frequently than positive interactions.5 Some common themes from these interviews include: feeling not good/active enough for a physical therapy environment; expecting physical therapists to have negative attitudes toward overweight bodies; experiencing an educative rather than empathetic/collaborative approach to their treatment; and feeling uncomfortable exposing body parts either visually or to touch during a physical therapy session.5 These themes are ones that we as physical therapists rarely think about during routine treatment sessions and may lead to poorer rehabilitative and psychological outcomes.6,7 I was guilty of many of these stigmatizing behaviors before an experience with one of my patients exposed me to this ugly reality earlier this year. As I reviewed the chart for an upcoming patient, I immediately started to draw a picture of her in my head. With words in the medical record like “obese,” “DM type 2,” “peripheral neuropathy,” “sedentary lifestyle,” and “non-compliant with home exercise program,” I was already classifying this patient as lazy. In addition to labeling her lazy, I began to wonder if she had brought this upon herself and if I could do anything to change a lazy attitude. These preconceived notions prevented me from having a positive attitude toward the patient before I had even met her. Over the first few sessions we worked on her balance, addressed her endurance, and developed a strengthening plan in order to enable her to tolerate more activity. I thought I was doing the best I could in equipping her with the tools to make a positive change in her own life. A week or so later I was notified by another therapist in my clinic that this patient had filed a complaint with her regarding my performance. I was told that I seemed disinterested, apathetic, and did not demonstrate patient-centered care when working with her. This news was an absolute shock to my system. As a new physical therapist fresh out of school, I knew that my inexperience was a weakness, but considered my interpersonal skills a strength. This accusation felt like a shot to my credibility as a physical therapist, questioned my level of empathy, and left me very confused. A conversation with my mentor was scheduled in order to talk about this particular patient case; during it, I received an unbiased, outside opinion on the matter. I described my specific interactions with this patient to my mentor, subconsciously slipping words into the conversation like “lazy,” “non-compliant,” and “her own doing.” My mentor pointed out my use of judgmental vocabulary and asked me why I had assumed this patient was lazy. I racked my brain for an explanation but could not find one other than the fact that I had associated those words with her obesity and sedentary lifestyle. I left the conversation with my mentor feeling disgusted and ashamed of the way I had treated this patient. I realized that I had put a label on this patient and judged her before I had a chance to truly get to know her and explore what may be preventing her from leading a more active lifestyle. As someone who suffers from mental illness, was a former substance abuser, and comes from a middle-eastern family, I know how hurtful social stigmas can be. I have always prided myself on treating every person equally, and it hurt to know I had judged and labeled someone unfairly. Through many enlightening discussions with my mentor and many hours of introspection, I made a plan to try to rectify the situation at hand. The next time the patient came to see me, I started the session with an apology for my abhorrent behavior and lack of patient-centered care. Using motivational interviewing, the patient and I began to explore what had led to her sedentary lifestyle and many of her ongoing health impairments. As we dug deeper into her past, she revealed that she had been laid off from her job five years ago. She was extremely passionate about her line of work and the sudden loss of vocation and daily purpose had sent her into a deep depression. She explained to me that she was in such a deep state of depression that she had not realized her activity level had decreased so significantly. Within the first year she had gained a substantial amount of weight, and her depression hindered her from taking action. Before long, everything had spiraled out of control and she felt as though her health had deteriorated to a point of no return. This conversation proved to be very enlightening for myself and the patient. We devised a plan to gradually increase her activity level, work on balance exercises to combat peripheral neuropathy, perform selective strengthening exercises to reduce her orthopedic pain, and increase her confidence in her ability to maintain a home exercise program. The end result was a positive relationship with the patient, a renewal of patient-centered care, and a better understanding on my part of what feelings may lie beneath the surface of many patients. This experience left me feeling encouraged about my progress toward better understanding and communicating with overweight/obese individuals, but very concerned for other healthcare professionals who may be making the same mistakes. I had implicitly stigmatized this patient based on her weight, and have undoubtedly done so with numerous patients in the past. Through conversations with many of my colleagues in the physical therapy world, I have found that this problem is not unique to myself. Regardless of gender, age, experience, or practice setting, I’ve observed many physical therapists exhibiting the same implicit weight stigma of which I was so guilty. Many physical therapists I’ve spoken to have expressed that they don’t know how to tackle this tough issue and feel lost with this type of complex patient interaction. Through review of the literature on stigma and my own experiences,4-7 I can offer a few suggestions. 1. I believe physical therapists should reflect on their own attitudes toward their patients who are overweight or obese. This introspection may help identify and prevent future stereotyping of all patients, regardless of diagnosis or presentation. 2. We should shift away from an educational/command type of language that may be perceived by the patient as talking down to them. We should also stay away from conveying the idea that weight loss is as simple as “calories in equals calories out.” We need to acknowledge that weight is a complex issue involving physical, emotional, and psychological components of a patient’s health. 3. We should shift our thinking toward fostering a more collaborative atmosphere between overweight patient and physical therapist. That shift could help reduce the patient’s perception of judgment on our part, and lead to better outcomes. We have a long way to go, but I believe as our knowledge of this issue evolves we can continue to improve upon our goal of pure patient-centered care. Merriam-Webster. Available at: https://www.merriam-webster.com/dictionary/stigma. Accessed April 11, 2017. National Center for Health Statistics. Health, United States, 2015: With Special Feature on Racial and Ethnic Health Disparities. Available at: https://www.cdc.gov/nchs/data/hus/hus15.pdf. Accessed April 11, 2017. Finkelstein EA, Trogdon JG, Cohen JW, Dietz W. Annual medical spending attributable to obesity: payer-and service-specific estimates. Health Aff (Millwood). 2009;28(5):w822-831. Setchell J, Watson B, Jones L, Gard M. Weight stigma in physiotherapy practice: patient perceptions of interactions with physiotherapists. Man Ther. 2015;20(6):835-841. Bacon L, Aphramor L. Weight science: evaluating the evidence for a paradigm shift. Nutr J. 2011;10(9):120-133. Schvey NA, Puhl RM, Brownell KD. The stress of stigma: exploring the effect of weight stigma on cortisol reactivity. Psychosom Med. 2014;76(2):156-162. 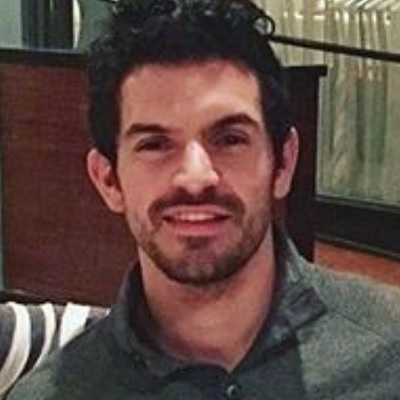 Cameron Jadali, PT, DPT, is a physical therapist who recently completed a neurologic residency program at Emory University in Atlanta, Georgia. As part of Emory’s neurologic residency, Cameron treated patients in a variety of settings including Neuro Intensive Care Unit, Inpatient Rehabilitation, Outpatient Vestibular, General Outpatient Neuro, and Parkinson’s/Movement Disorders Clinic. Cameron also lectured and lab assisted in Emory’s Doctorate of Physical Therapy Adult Neurorehabilitation Course during the Fall 2017 semester. Cameron is moving to Saint Louis, Missouri, to accept a job with Washington University in Saint Louis where he will be starting a vestibular and concussion clinic. Cameron believes that gaining a patient’s perspective and learning what truly motivates them can be a powerful treatment tool and build strong relationships between patient and clinician.